For this Easter weekend only, book selected Fred. Olsen cruises with The Cruise Specialists and receive a FREE All Inclusive Drinks upgrade to make your cruise adventure even more enjoyable. Drinks are on Fred. Olsen on the sailings listed below if you book by Tuesday 23rd April, so secure your holiday now to take advantage of this great value, limited time only offer. 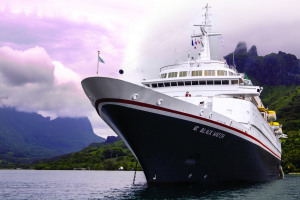 Special reductions on selected June-September 2019 sailings. PLUS up to €200 per room FREE on-shore spending money on selected sailings*. You can enjoy the best of your captivating destinations without having to worry about exchange ratges! 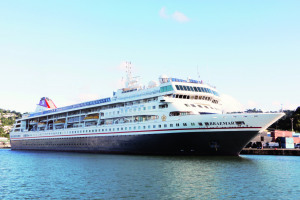 Call The Cruise Specialists on 0330 094 0218 to book your next Fred. Olsen Cruise today! Fred. Olsen’s NEW 2020/21 season is now available to book. Explore the spellbinding Norwegian Fjords, bustling Mediterranean islands, the grandeur of Baltic capitals and much more. Book now with The Cruise Specialists to receive fantastic extras including: Tips Covered, No Single Supplements and Three Cruises for the Price of Two. Full T&C’s apply – ask for details. Once your booking is confirmed we guarantee that there will be no surcharges or supplements on your Fred. Olsen cruise price. There is the security of ABTA and ATOL protection and Fred. Olsen's Enjoyment Promise giving real peace of mind. What’s more, all cruises, Shore Tours and purchases on board Fred. Olsen are priced in Pounds Sterling – so you can explore the world without worrying about exchange rates. With Fred. Olsen you can always book with confidence. The Cruise Specialists are excited to announce that Fred. 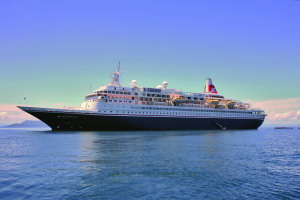 Olsen's BRAND NEW 108 night "Around the World" itinerary departing 8 January 2021 on board Black Watch is NOW on sale! Three cruises for the price of two: Book a sailing in 2019 & two in 2019 – 21 and the lowest priced cruise is FREE!